← Bolivia Seeks Buyers For Gas With Petrobras Contract In Limbo … this gov has lost its credibility! A technical archaeological investigation carried out by remote sensing – used for the first time in Bolivia by Unesco – that uses dron flights and satellite images, changed the vision of what has been the ceremonial center of Tiwanaku. 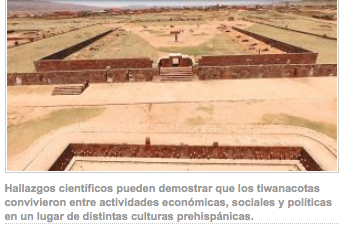 This information was released by the director of the Center for Archaeological, Anthropological and Administration Research of Tiwanaku (CIAAAT), archaeologist Julio Condori, who confirmed that the current town is above the pre-Hispanic city and said that a restructuring has to be made and implement new policies to conserve heritage, not only for Bolivia but for the world. 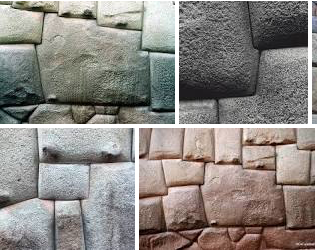 Let’s not forget the fact that when you visit Cuzco, the Inca Empire, all those wonderful and outstanding buildings, stone wall construction, that technology was inherited by them from the Tiwanaku civilization. This entry was posted in Bolivia, La Paz, Tourism and tagged archaeology, Bolivian heritage, government failures, Tiwanacu. Bookmark the permalink.